Based on the 100Hz D.I.S. patented technology platform of integrating the transmitter and receiver functions in a single column, the MIRIS 3000 3100 creates a true infrared invisible wall. The MIRIS 3000 3100 infrared beams can be set to single or dual detection mode. Breaking two adjacent beams eliminates the dead zone typical in standard infrared barriers. Mono-beam detection allows for an increased level of protection whereby the lower beam can be set to time-delayed mono-detection mode in order to detect intrusions caused by crawling (advanced configuration by computer). Installation is simplified by having contact outputs on each of the MIRIS 3000 3100 columns, reducing the amount of wiring required. The MIRIS 3000/3100 is an ideal solution for the protection of medium-sized perimeters of up to 328 feet. Columns can be stacked to a height of 10 feet providing a high level of intrusion detection. Typical installations include, but are not limited to, sub-station utility sites, transportation and logistics facilities, commercial and industrial sites. Vegetation: the area between the infrared columns must be free from any obstacles. This requires grass cutting and tree trimming around the area. Cover Cleaning: Cleanliness of column covers should be checked regularly and at minimum cleaned annually with a soft, damp cloth. Site terrain: Check that ground is level and will ensure the stability of the columns over time. A maximum of 10° elevation may be tolerated between the columns. In case of elevation above 10°, contact PROTECH’s sales department. 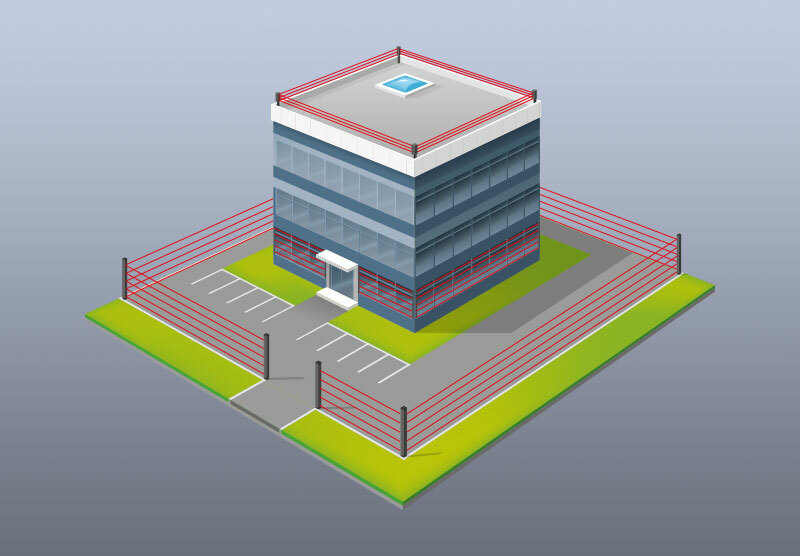 A perimeter fence may be recommended to optimize the installation. 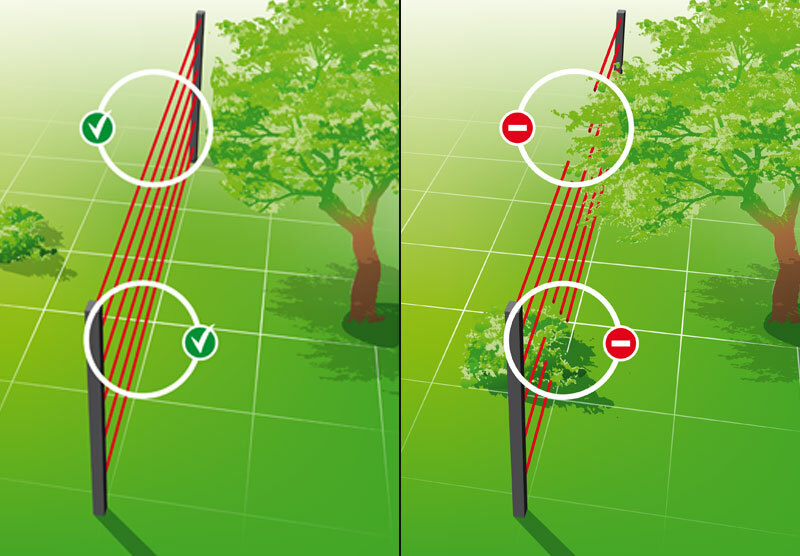 In this scenario, the infrared barrier must be placed at least 6.5 feet (2 m) away from the fence and be the same height as the fence. 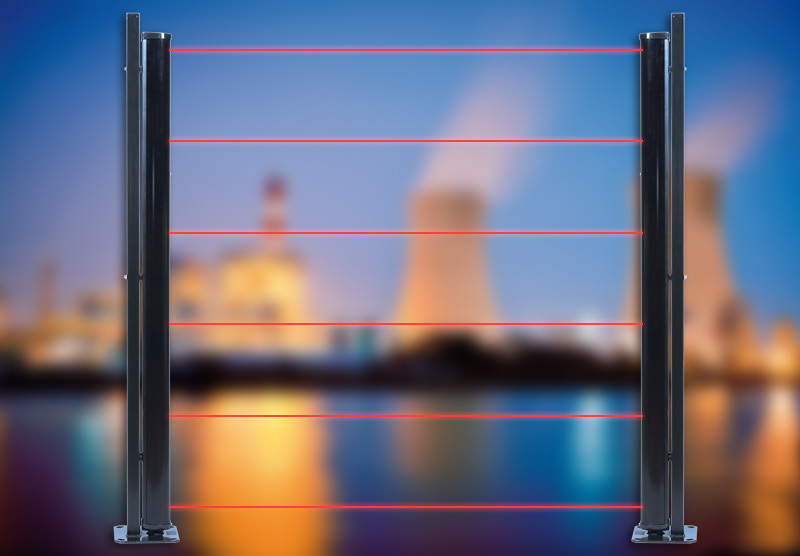 If the 6.5 ft. (2 m) distance is not possible, the infrared column must be a minimum of 1.6 feet (0.5m) higher than the fence. 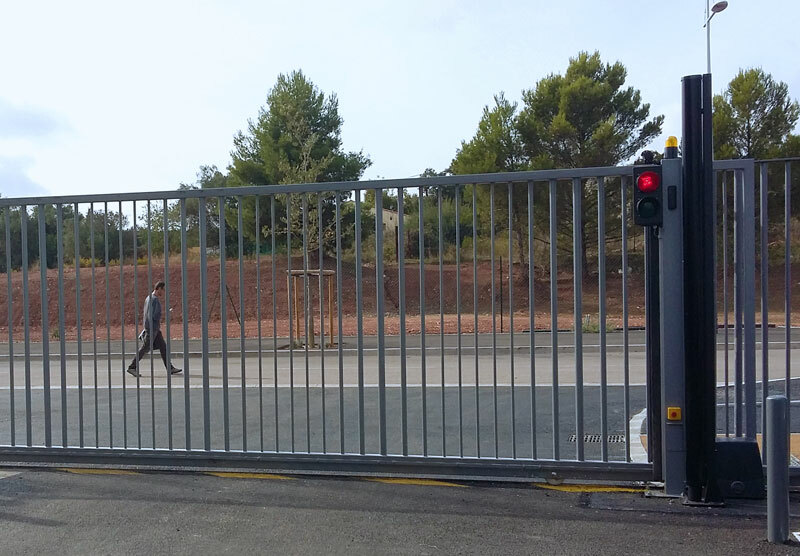 For high security sites, the IR column should be at least 3 feet (1 m) higher than the fence.